Part of the University of Cambridge’s Engineering department, the Institute for Manufacturing brings together management, policy and technology in engineering disciplines. 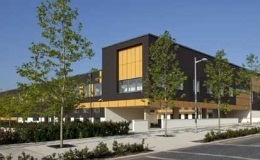 The Institute is located in the Alan Reece Building, a purpose-built building on the university’s West Cambridge site, which was opened in November 2009. Contracted through Clean Room Construction, Rural Energy were commissioned to integrate a 220kW biomass system fed with wood pellet fuel. 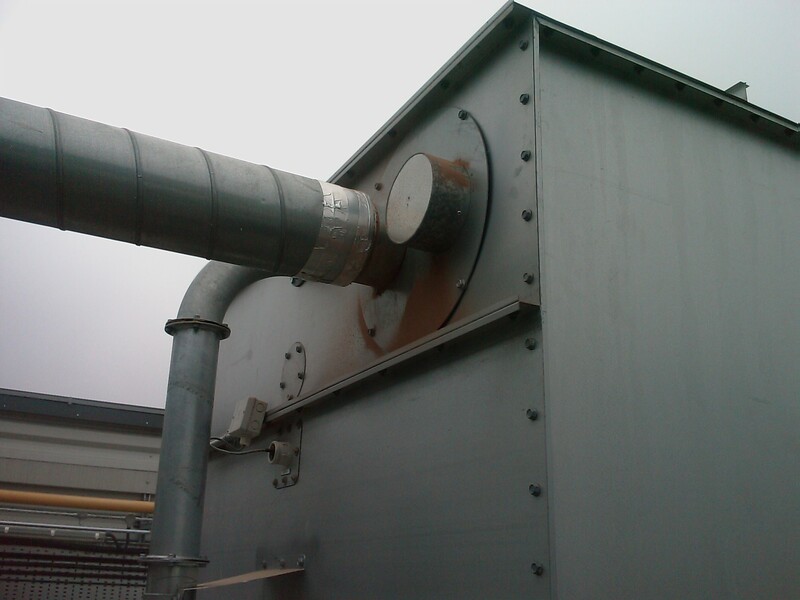 This is a particularly interesting project as part of the requirement was that the biomass plant room must be located on the roof of the building. As such, wood pellets were favoured over wood chip as a fuel source as these can be blown from a delivery vehicle at large distances, thus allowing for delivery to the roof of the building. Though the plant room and fuel store are typical enough in arrangement, their location was an unusual requirement. The fuel store is made up of a prefabricated sectional aluzinc v-profile trough silo which stands alongside the plant room. This could then be dismantled and taken to the roof by hand. The boiler itself however could not (though some Herz boilers are modular, this particular model was not). 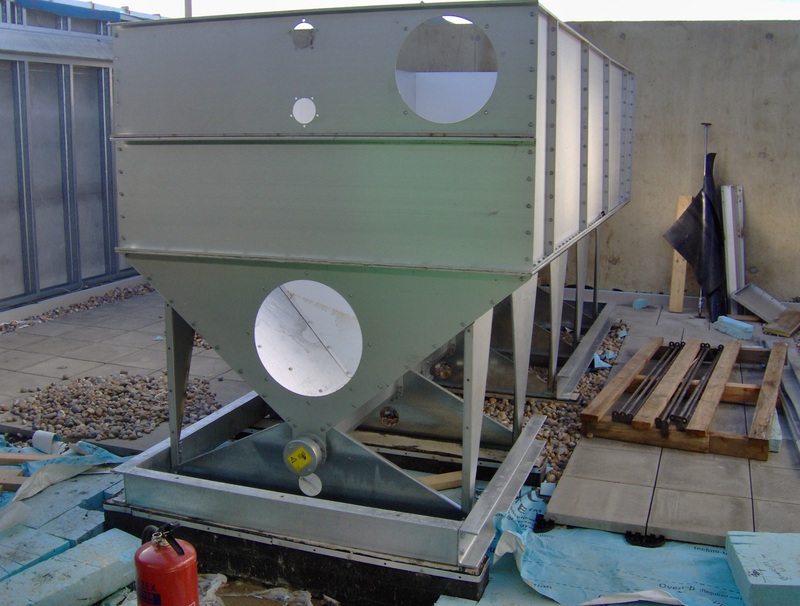 Therefore the BioMatic was craned onto the roof and installed and commissioned from there.